Whether you’re in search of romance, adventure, some down time with your family, or a private getaway with a special someone, travelers in search of an authentic Caribbean experience will find a home away from home at an all-inclusive Elite Island Resorts property. At each of their unique, curated properties, guests are guaranteed pure relaxation amidst idyllic surroundings, where their every need is catered to and excellent service is par for the course. In fact, Elite Island Resorts offer some of the most authentic and immersive experiences in the Caribbean. 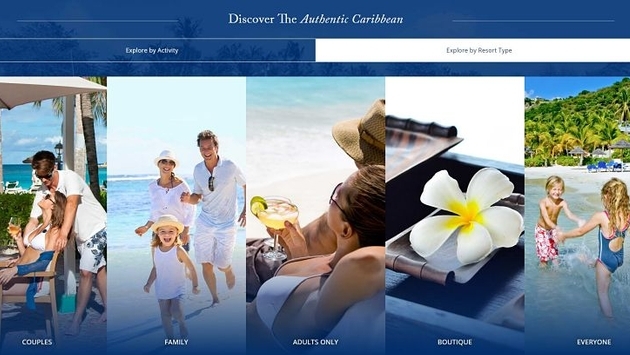 As part of an effort to further showcase Elite Island Resorts’ suite of properties and illustrate their distinctive personalities, Elite Island has embarked upon a rebranding campaign designed to help guests select the perfect property to match their travel style — dubbed "Authentic Caribbean." What fits your travel personality? Romance. For those in search of romance there is perhaps no better destination than the Caribbean, where spectacular sunsets, crystal blue waters and swaying palm trees set the stage. Palm Island Resorts & Spa in the Grenadines allows guests to reconnect on a private tropical island. Antigua’s Gauguin Suites at Galley Bay Resort & Spa are is perfect place to spend a honeymoon. Offering a lagoon view and private plunge pool, romance is in the air. Adventure. Looking for an extra thrill while on vacation? Visit The Club, Barbados Resort & Spa, where the chance to experience the island on an off-road adventure awaits. Guests at Long Bay Beach Club in Tortola can swim with the dolphins, while guests of The Verandah Resort & Spa or St. James’s Club & Villas in Antigua can swim with stingrays. Guest of St. James’s Club Morgan Bay can take part in a host of water sports, while couples staying at the Pineapple Beach Club can take advantage of diving among shipwrecks and coral reefs. Family Fun. Gentle waves and expansive beaches spell out a happy family vacation for kids of all ages. 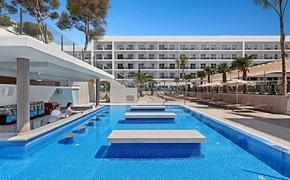 Even the youngest family members have a place, with Kids Clubs offering a host of daily activities to keep them happy and engaged. St. James’s Club Morgan Bay (St. Lucia) guests can work in some adventure too, with zip-lining, horseback rides, ATV rides, jungle biking and more. Guests of the St. James’s Club & Villas and The Verandah Resort & Spa can explore Nelson’s Dockyard, or go zip-lining through the nearby rainforest. Adults Only. Relax and reconnect at one of four Elite Island resorts. Palm Island Resort & Spa offers the ultimate privacy. The laid-back Pineapple Beach Club is perfect for active couples as it offers tennis, kayaking, snorkeling and more. The Club, Barbados Resort & Spa is famous for its oceanfront setting and offers a spa, three freshwater pools and plenty of activities. The Galley Bay Resort & Spa sits on three-quarter miles of white sand beach, and the new Gaugin Suites with individual, private plunge pools make for the perfect romantic getaway. Island Hopping. From its location on The Grenadines, guests of the Palm Island Resort & Spa can set sail for Tobago Cays on which part of the Pirates of the Caribbean was filmed, Union Island or St. Vincent, for a visit to its botanical gardens and the historic Fort Charlotte. Long Bay Beach Club guests can take a catamaran to Jost Van Dyke, the smallest of the British Virgin Islands, or head over to Norman Island, which is thought to be the inspiration for the famous novel, Treasure Island.